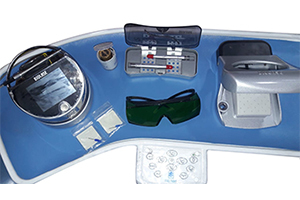 All the dental operatories are equipped with high end dental chairs which are the ultimate in comfort and function. The touch less sensor. When you visit Dr.Shwetha's Dental & Implant Centre you can be sure that our patients safety is our primary concern. Dr.Shwetha's Dental & Implant Centre is equipped with the latest in soft tissue lasers, which can be used for surgeries, root canals, bleaching, implants. 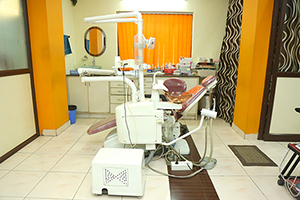 Dr. Shwethha's Dental & Implant Centre is equipped with Bleaching Machine, which is used for teeth whitening. 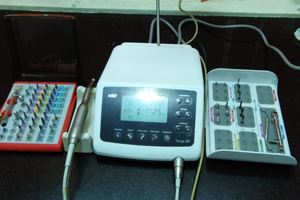 Dr.Shwetha's Dental Hospitals uses RVG or Digital X-ray using SOPRO digital imaging. The X-ray is shot using a digital sensor. Which is used in Implant surgeries & Oral surgeries. 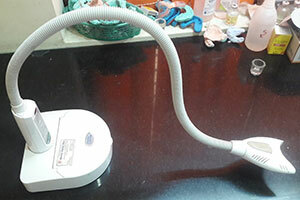 For a stress free and quick root canal we have Apex locators and rotary root canal machine Endo-mate. Our dental chairs are equipped with lights that can be operated with touch less sensors, reducing the incidence of cross infections between patients. Kids wont find going to the dentist a bother anymore with the LED screens mounted on every dental chair. This diagnostic tool helps you to view the problems inside your mouth to make a better informed decision about your treatment.